Bank of America (BAC) is my favorite bank stock right now, and its future looks a lot brighter. The share price could double from here. 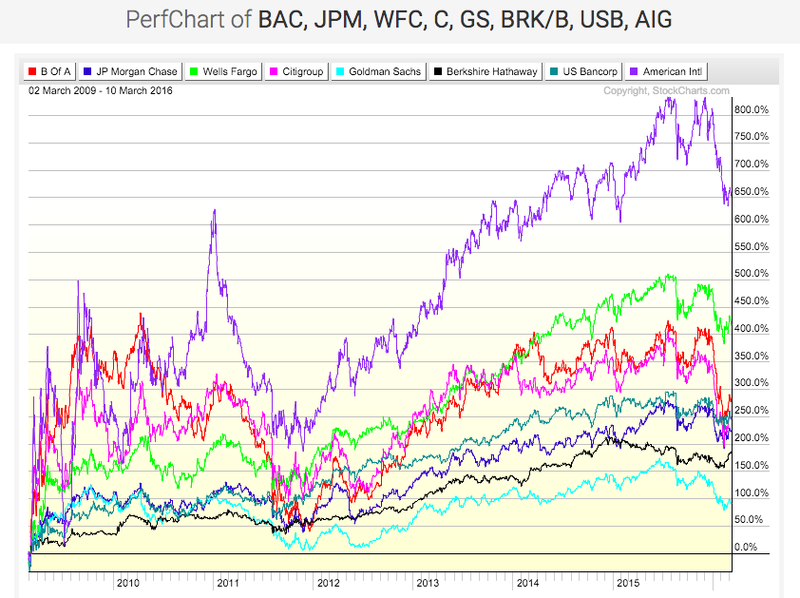 Bank of America has underperformed for a number of years in an already-shaky banking sector, with added uncertainty regarding interest rates, economic growth, lending, income generation, and regulation. But the worst is now likely behind BofA (BAC), and investors could begin to warm up to and even chase the stock due to very attractive and deeply-discounted valuations, strong cash flows, a growing dividend, increasing earnings, peer outperformance, and an improving overall environment. After collapsing during the financial crisis of the Great Recession (2007-2009), Bank of America (BAC) has been stagnant during the economic recovery which followed. 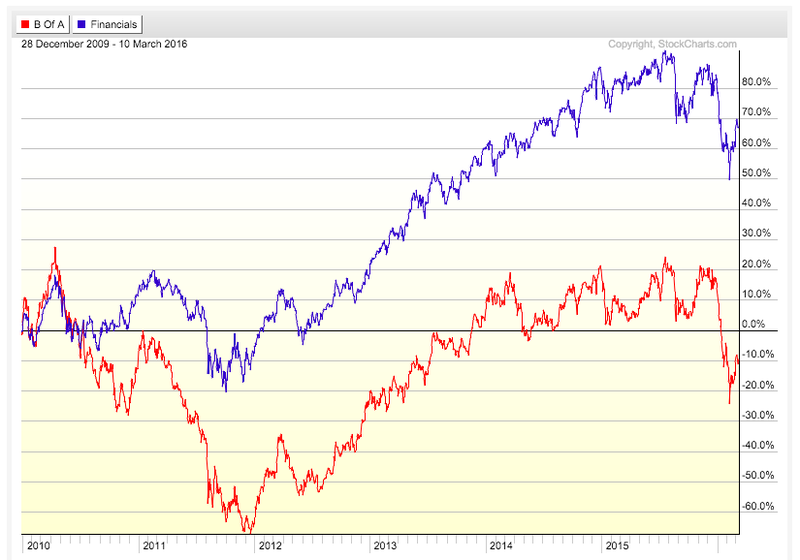 Though the stock bottomed in early 2009 and again in late 2011, it has done almost nothing for three years since 2013. Bank of America (BAC) has underperformed the broad Financials sector (XLF). 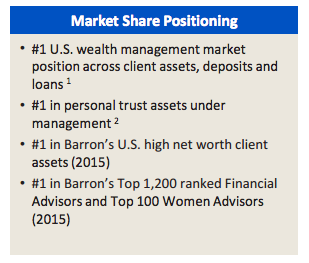 Bank of America is trading at very attractive valuations, selling at a deep discount likely due to overblown fears. Most Bank stocks have been selling at discounts to Book Value or close because of all of the fear surrounding the sector. 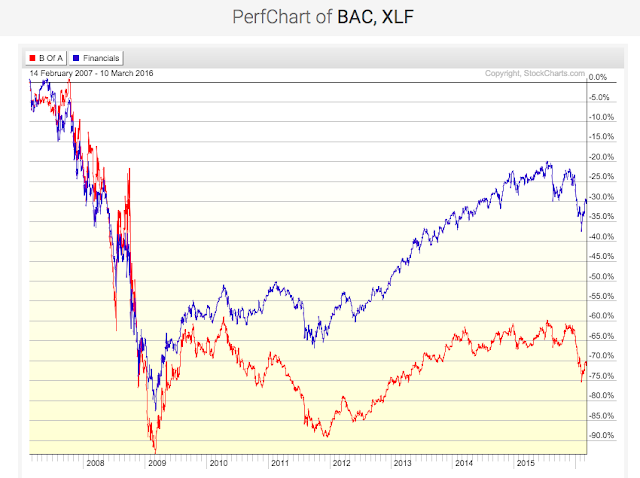 But with much of the Financial Crisis and potential hurdles behind us, buying BAC at around half of BV is a steal. Bank of America is fairly solid financially and in many ways stronger now than it was before the Great Recession. Bank of America has improved on both its Earnings and its Margins. Bank of America's cash flows are pointing to a safer, more liquid, and growing company. Usually considered one of the most important determinants of a financially-strong company (or, in the opposite case, an accounting "red flag"), Cash Flow for BAC is mostly a positive factor. BAC's Operating Cash Flow (CFO) is positive. Another major "red flag" in the case of negative CFO, Bank of America still has the "green light" because its CFO is positive. BAC's Cash Flows from Operations (CFO), Investing (CFI), and Financing (CFF). Financing has turned negative, but overall Cash Flows are acceptable. 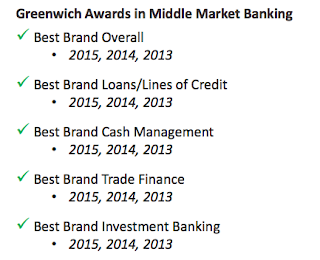 Bank of America is also attractive when compared to its competitors, not just on an absolute basis. 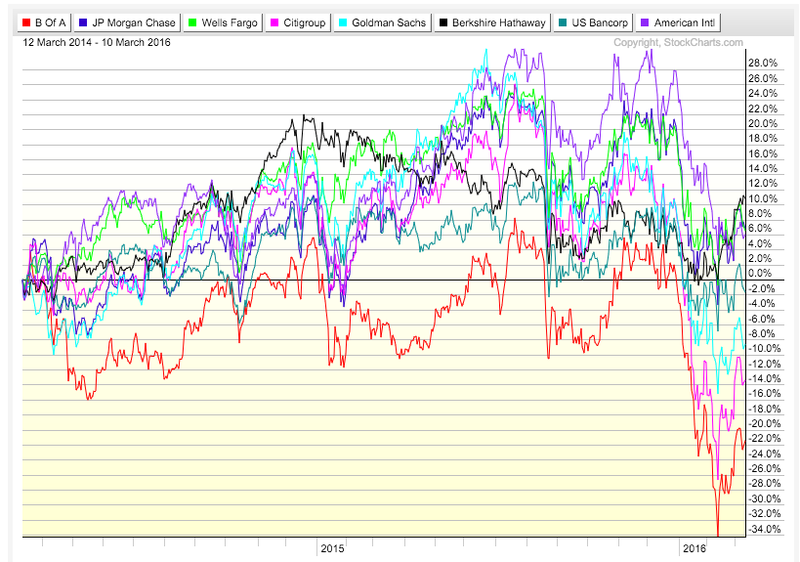 When compared to companies like Citigroup (C), JP Morgan (JPM), Wells Fargo (WFC), US Bancorp (USB), American Express (AXP) and Goldman Sachs (GS), Bank of America (BAC) has a very attractive P/E Ratio, PEG Ratio, P/S Ratio, and P/B Ratio. 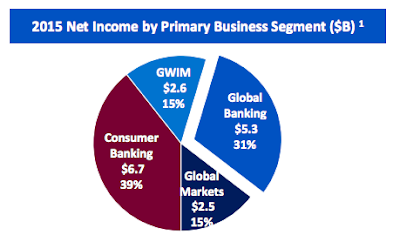 In fact, its Price-to-Book (P/B) ratio is the lowest of its major competitors, and far below most of them. Bank of America (BAC) has recently seen a sharp drop from ~$18 to $11, with a break below the critical $15 level. The $15 level dates back to 2013, so rising back above it could be difficult but is necessary for the continuation of the uptrend. Furthermore, the Weekly chart looks excellent as the 50, 200, and 300-week Moving Averages are aligned properly and shorter-term momentum is leading. This Weekly chart will look even better, way better, if BAC can climb back above the 200-week MA. It is a bit disconcerting that the 52-Week-Low (red line) was violated and is trending down, but if BAC could break back above the $18.48, 52-Week-High (orange line), there is A LOT of upside. 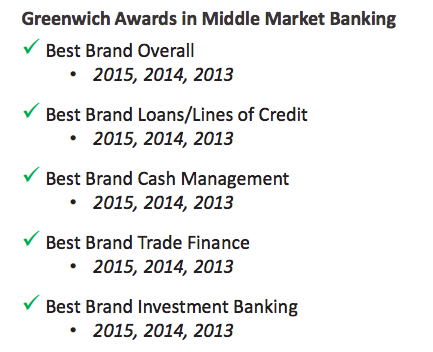 Bank of America is still one of the biggest and most well-known banks, with a great reputation and plenty of awards. There is plenty of room for improvement, but the brand name is a huge plus. Nothing is guaranteed, but think about it this way: If there is another banking or financial crisis, which bank is the US Government most likely to save solely due to its name? Bank of America (BAC) has been overlooked and its stock is set up for major upside. It is selling at steep discounts; it sports attractive valuations; it has improved its financial strength substantially; it is profitable; it is growing; it has good cash flows; it has growing insider support; it has strong peer comparisons; it pays a dividend; it has a great brand name; and it has plenty of room to exceed expectations. Bank of America (BAC) may be the best Bank stock to invest in, and it could double, triple, or more over the next years if it can continue to improve.